Bird Of The Year 2015 - Vote for Hutton's shearwater! Home » Events » Bird Of The Year 2015 – Vote for Hutton’s shearwater! Bird Of The Year 2015 – Vote for Hutton’s shearwater! 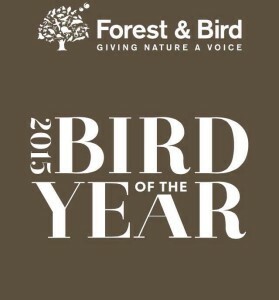 Forest & Bird’s annual Bird Of The Year competition has kicked off, running from 5-25 October 2015. 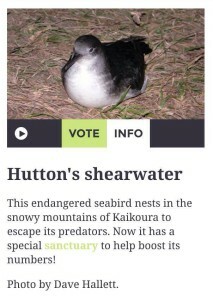 The Trust is representing Hutton’s shearwater throughout this campaign, please make sure you vote for our endangered seabird!